Thank you for all the Simplify love! 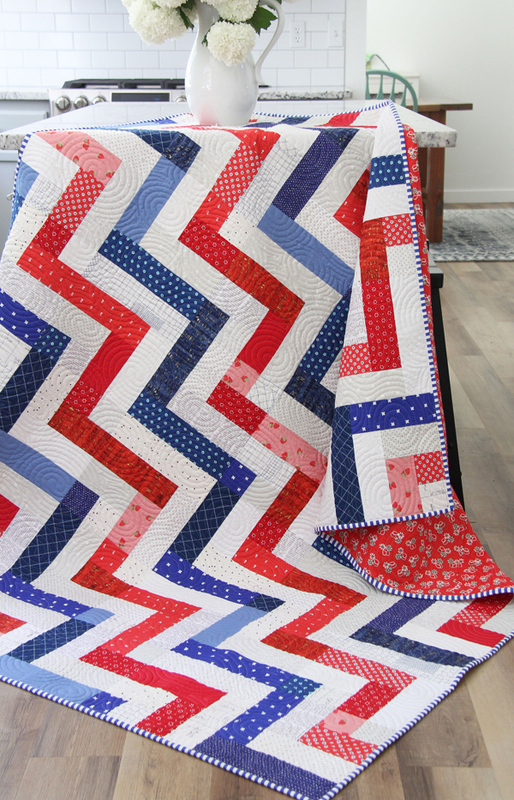 It’s my favorite quilt I’ve made in a long time, so I was excited to share it with you! This quilt is called Going Up. It’s made with fat quarters in two colors, and neutral background fat quarters or yardage. 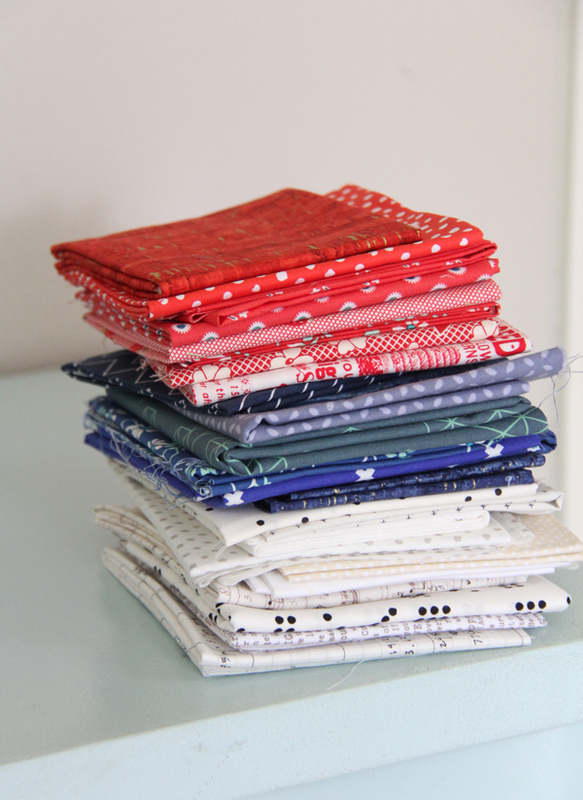 I have a huge stack of low volume fat quarters so I put them to good use with a couple of my quilts! This is a simple, classic pattern. A great beginner pattern and a great way to use up some fat quarters. I love the two color scrappiness…but this would also be great with florals and solids instead of two colors. Kaitlyn also quilted this one, and it’s making my house look extra patriotic until the 4th of July. The pattern can be found here as a PDF, or here as a paper copy. 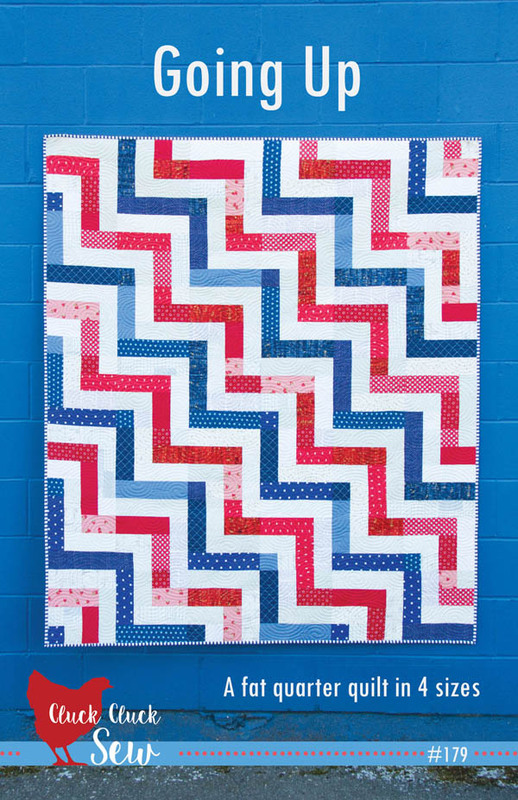 Very direct and to the point quilt with lovely colors and low volume prints! And look at that cute backing! I saw some of your relatives over the weekend…Nina Myers and Kathy, her daughter. It was a birthday party for LaVonne Clark from Ashton. I hadn’t seen Nina for many many years, it was great to see her. How fun Diane! We are headed there next month…can’t wait! Oh, I love this quilt! 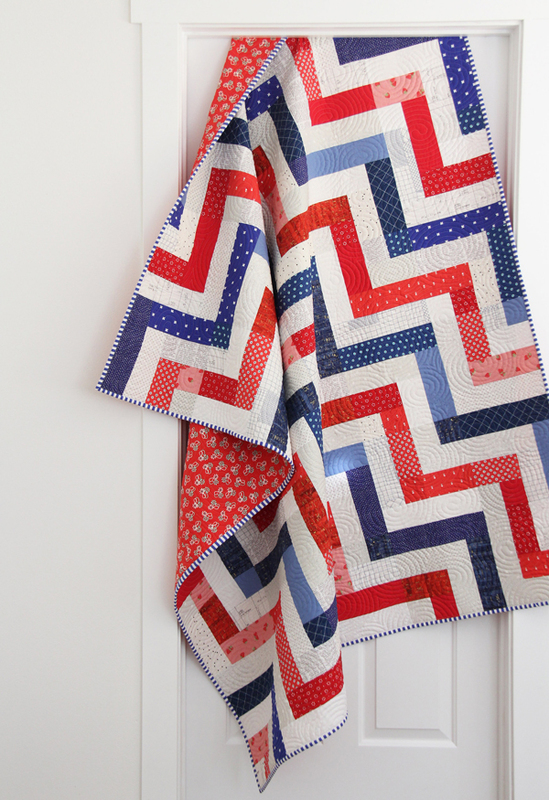 My house needs patriotic quilts for those type of holidays and I might just have to buy this pattern! I have a question. 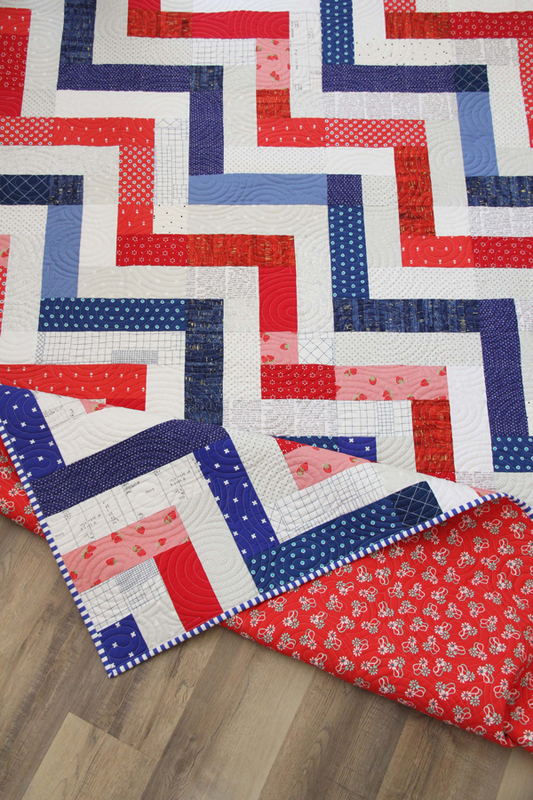 Can you tell me what color thread was used in the quilting? How is it blending in so well across all those different colors? Hi Janice! It’s just white thread, I’m not sure what type but yes it does blend beautifully! How appropriate considering today is Flag Day! Bought two patterns yesterday, now if only my sewing machines will get done at the repair shop. Yay I forgot it was flag day!!! It was meant to be. :) I hope your sewing machines get home soon! I love it! We flew the flag all day! 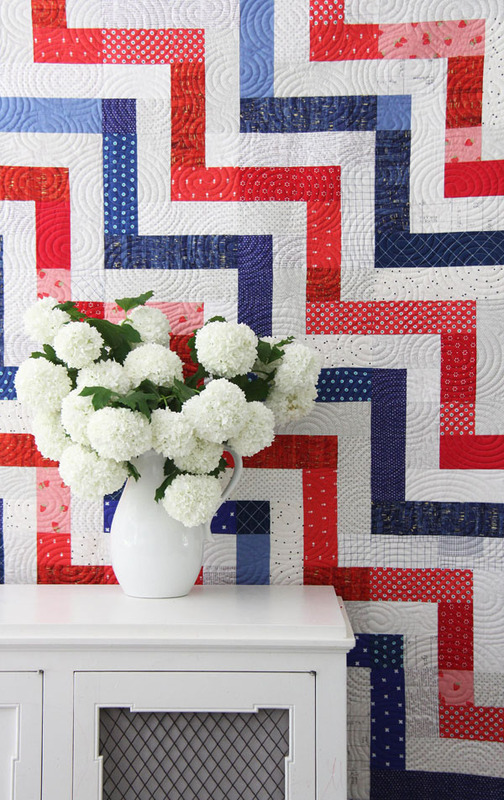 this really makes for a beautiful quilt! I have a Problem I ordered 2 Paper Patterns from you and I haven’t got them in the mail I placed the order on 6/12 and has been charged for them. Please let me know if they were sent out yet?